Thanks for the link, Edd. I hadn't seen this article yet. Included in the article is a video link of a carrier crab (Dorippe frascone) which uses its modified pair of rear legs to grab onto various objects to act as protection and camouflage. 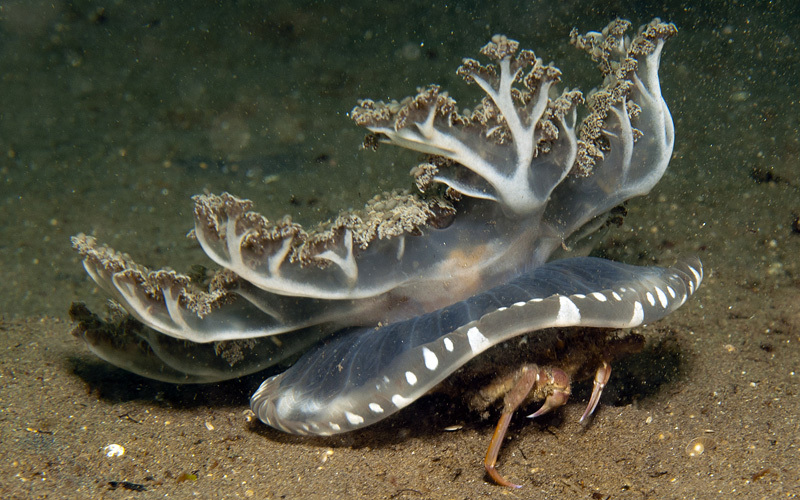 In addition to broken pieces of shell or macroalgal clumps, these crabs will occasionally grab some formidable protective passengers (though likely unwilling) like urchins, anemones, or jellies. 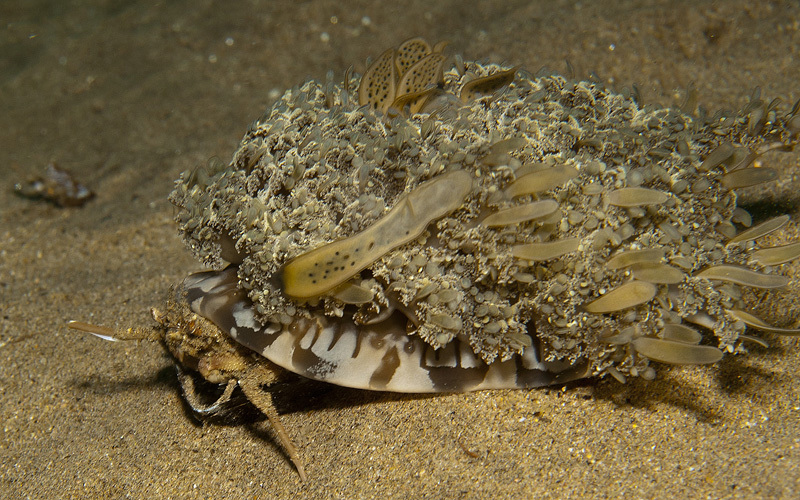 This reminded me of the carrier crabs I saw some years back in the Philippines dragging around Upside-down Jellyfish (Cassiopea andromeda). Thanks for the link to the paper. Humans sort of do the same thing as Hermit Crabs. 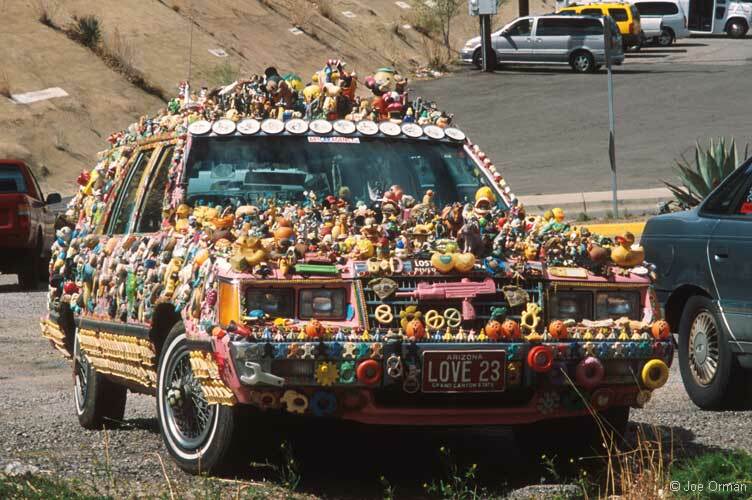 I can't imagine he gets good milage in that car with the kind of wind resistance all those decorations provide.